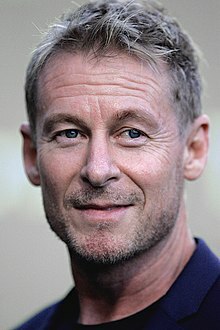 Richard Roxburgh (born 23 January 1962) is an Australian actor. I really was keen on not doing his as a heinous arch-villain. But as person who was, at some state, a complex psychological being and a warrior on par with Van Helsing, and in fact a sort of brother in arms to Van Helsing. So one thing I attached myself to quite early was a kind of... because they come from the foothills of the Carpathians and nobody knows what the hell people looked like or spoke like back then, you know, 500 years ago. One thing that I kind of attached myself to was a sort of gypsy look. There's always been Romany going through that area. There's a look that's drawn from that history and apart from that, there are sound psychological reasons for why Dracula does the things that he does in this story, and I like that. I absolutely love Bela Lugosi's Count. One thing that always interesting to bear in mind in the great history of Dracula is that, I think almost without exception the film's release has always been surrounded by controversy. Bela Lugosi's Count Dracula at the time was regarded as essentially a kind of B-movie piece of junk. Whereas now, I think it has real luster and appeal to people. I looked at Bella's Count again because Steve was interested in pursuing a sense of the old Universal films, I thought it was kind of good to do that. I’m finding the intrusion of the state into everything in our lives increasingly intolerable, we are being dismantled as thinking adults to the extent that we are dumbing down. Eventually we will become completely politically, spiritually, mentally enfeebled … That’s the future, that’s what we’re looking down the barrel of, and it shits me. I think Richard forgets he is an actor," Colloca once said. "He never talks about it, he never wants to watch himself. I am the one who is always trying to get him out to see shows. Richard says it can be a stupid profession and he is right. This page was last edited on 20 November 2018, at 23:46.